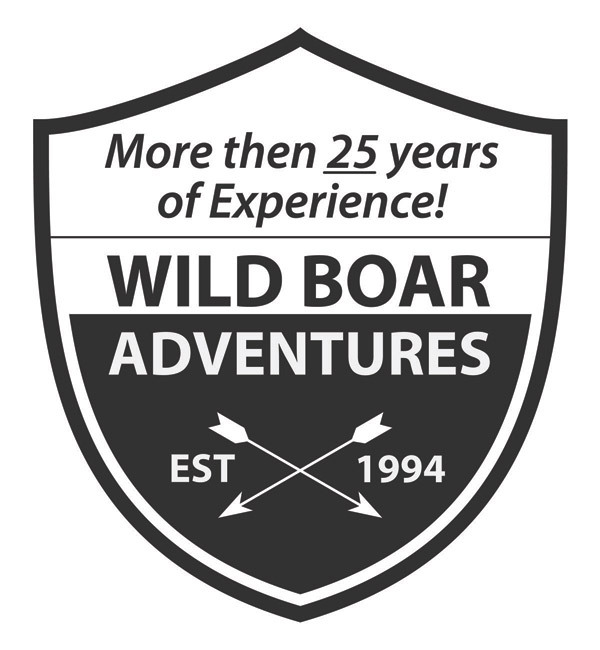 In 1994 Wild Boar Adventures was developed as an opportunity for the average hunter to hunt an exotic species right here at home in Canada. 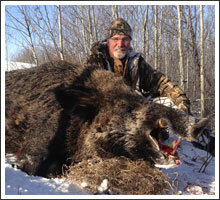 For many, a trip to Europe to hunt the European Wild Boar would be out of the question. 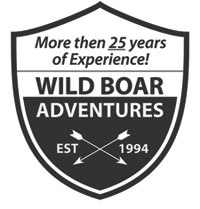 Here at Wild Boar Adventures you can not only hunt a wild boar, you can hunt with your family, friends, or coworkers and take all the meat home with you when you go. 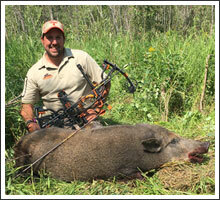 Our goal here is to provide you with an enjoyable hunt that we would want to go on ourselves. We have a great location. 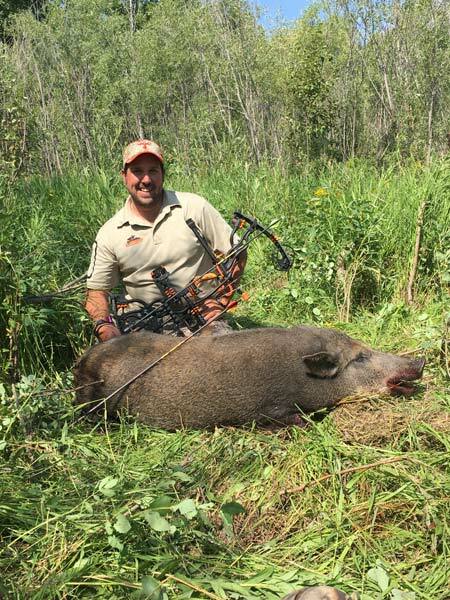 The animals, the facilities, and the area to hunt are all provided for you, all you need to do is contact us to reserve your hunt. So grab your gear, call your buddies and come on out for a great time. 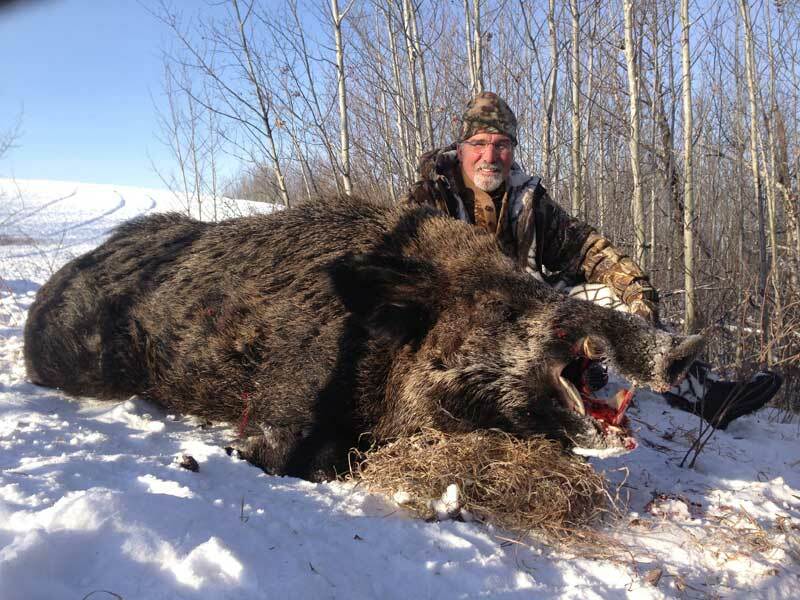 This is a do it yourself boar hunt where you can expect, a challenge, privacy, exclusivity, shot opportunities, quality game and relaxation! 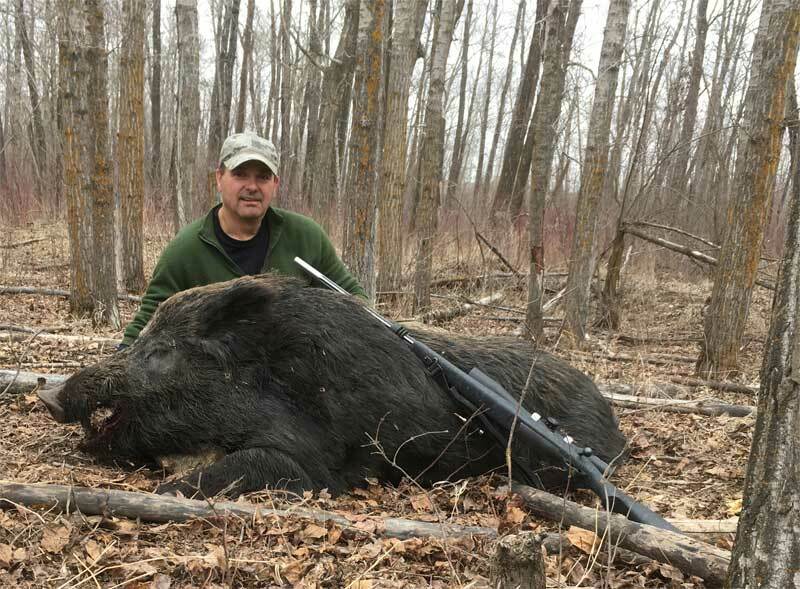 Let’s face it we all like to hunt but time can be a factor, why not hunt where the game is plentiful, the trails are cleared, the stands are up, the cabin is ready and you can be sure no one is going to be in your spot when you get there. 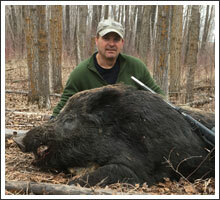 Why not have some fun, give us a call and try your hand at some boar bustin!!!! We are expanding. Approx. 50% more ground to hunt!